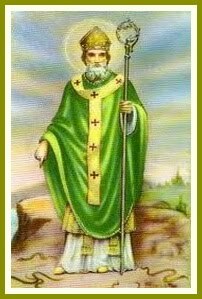 Saint Patrick was the national apostle and patron saint of Ireland. He was born in Roman Britain sometime in the latter part of the fourth century A.D. The dates of his birth and death are fuzzy. When he was about sixteen years old, he was captured by Irish raiders and taken as a slave to Ireland, where he lived for six years before escaping and returning to his family. He entered the church, as his father and grandfather had before him, becoming a deacon and a bishop. He later went back to Ireland as a Christian missionary. Legend says that Patrick taught the Irish about the concept of the three-in-one of the Trinity by using the three-leafed shamrock to explain the concept of the Trinity. So, why is it celebrated on March 17th? One theory is that that is the day that St. Patrick died. The biggest observance around the world is, of course, in Ireland. With the exception of restaurants and pubs, almost all businesses close on March 17th. Many Irish attend mass on this day as it is a religious holiday as well, where prayers are offered for missionaries worldwide before the serious celebrating begins. 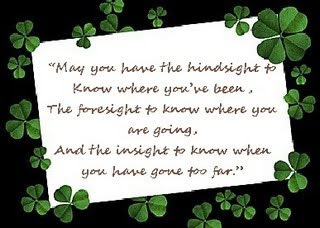 I love the Irish blessings and thought I’d pass some of them onto you. 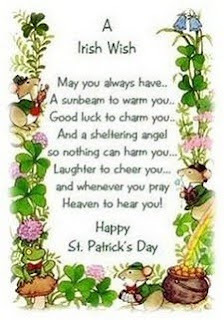 Thanks for sharing the Irish blessings, Lynn. Blessings to you as well! It is ashame that this holiday has become an excuse to drink. Sweet post Lynn, thanks for sharing the blessings, I LOVE them!! 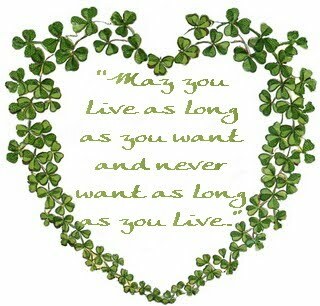 ps- check out St. Patrick’s prayer over at Eternity Cafe. What a beautiful post! I love all of the Irish Blessings! I know My Irish Father is in Heaven reading the with Me!! Thank you all. I love these, too. Margaret, it has become an occasion for over-imbibing, hasn’t it? Susan, I came across that prayer and almost used it! Jackie, so nice to see you here! 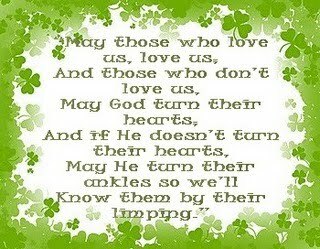 How awesome your dad was Irish and more awesome, he’s in heaven!